International space experts present their first findings at the TU Graz during the ÖWF-Science-Workshop. From 25. to 27. 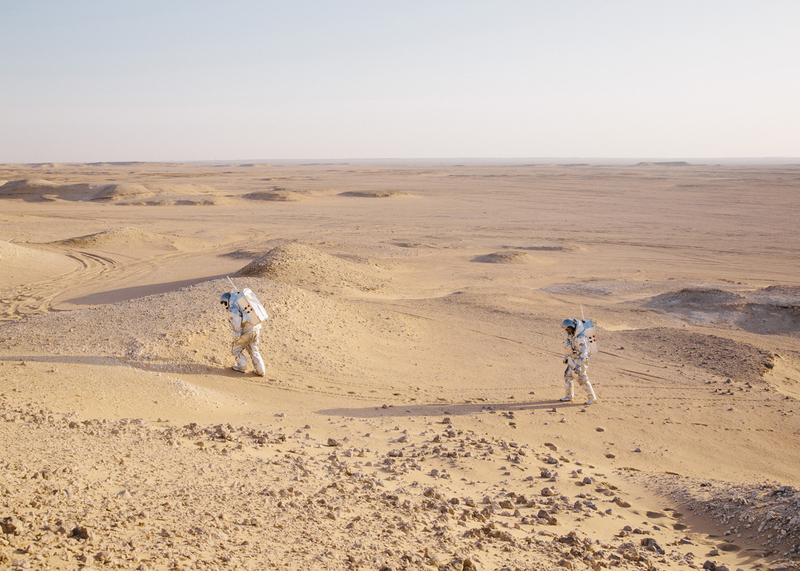 May, 40 international space experts evaluated the first findings of the successful Analog-Mars-Mission AMADEE-18 conducted by the Austrian Space Forum (OeWF) in cooperation with the Omani Astronomical Society. The scientists not only focused on the scientific data (which was gathered during the four-week mission in the Dhofar desert in Oman), but also developed possible improvements for mission-logistics and architecture. “Most of the research teams, whose experiments were carried out in Oman, are still working on analyzing their data. The language research experiment ‘MIMIC’ of the TU Graz received further data from the Antarctic-station Concordia just a few days ago. Now we have a total of 10 hours of high-quality voice recordings in our hands that further the project and will after additional research enable us to use voice-modulations to evaluate the mood of our crews early on,” stated Dr. Gernot Grömer. The administrative director of the OeWF and mission leader of AMADEE-18 continued, “One of the most surprising results would be the good growing-rate of radishes, water cress and salad in the blow-up greenhouse ‘Hortextreme’ of the Italian Space Agency ASI. The harvest of “Rambo Radish” 15 days after planting delivered a surprisingly high harvest. That is one of the the best result ever achieved in laboratory conditions, especially when it comes to considering energy efficiency. This would be highly valuable for providing astronauts with fresh food on Mars.” A more detailed data-analysis will investigate the exact reason behind this record harvest. Analog Astronauts Kartik Kumar and Joao Lousada on EVA. The Italian ground-penetrating radar ScanMars performed excellently: during the course of analyzing the data obtained from a 1,7 km stretch of land, a dried-out riverbed – which had already been covered by sand – was found, based upon 93617 individual scans. “If one of these Wadi were found on Mars, it would be an important step towards learning more about the water reserves in the Red Planet’s past,” adds Gernot Grömer. In an exploration cascade the interdisciplinary experiments are interlinked, that means the results of one experiment are relevant to the next step. During AMADEE-18, for example, a drone was used to scan and map the test site followed by a rover, which would examine the terrain further. 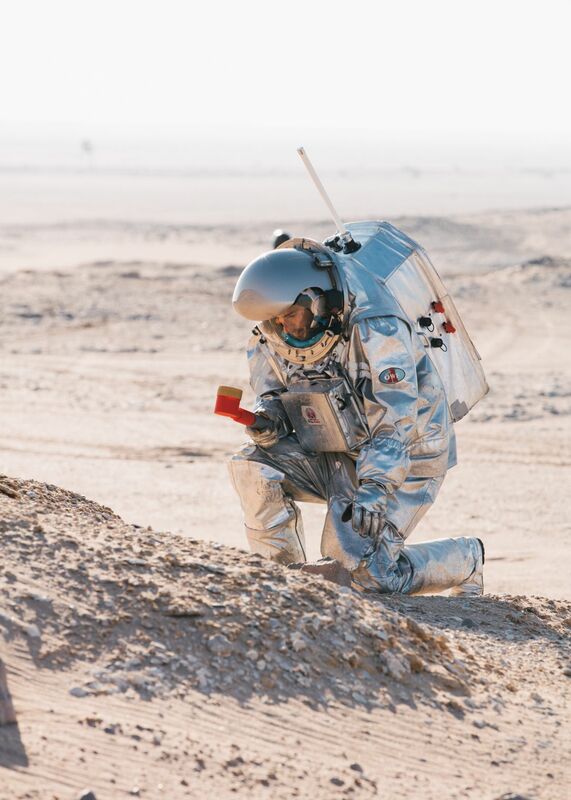 Once these data indicated an interesting and safe environment, the analog astronauts were given clearance to start examining the test site wearing the Mars-Suit prototype “Aouda”, developed by the OeWF. The same day the collected data were sent to researchers across Europe and the US for a near real-time analysis. The results from AVI-NAV, the camera based Mars-Copter navigation system, which will be used during the NASA-Mars-Mission 2020, were also touched upon. 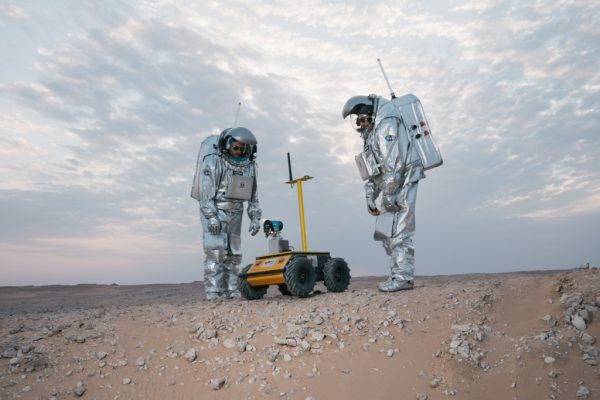 After their analysis both by the Alpen Adria University Klagenfurt and the University of Technology in Graz, the data sets will be made available to the Mars 2020 rover development team at NASA. As part of the experiment MIMIC, the team around Martin Hagmüller from the Institute of Signal-Processing and Voice-Communication, examined how the extreme conditions of a Mars mission affect the crew. The daily team meetings and all communication with the astronauts out on field research were recorded. These verbal communication patterns are now used as perimeters to determine the physical and psychological state of the crew members. New and comparably cost-effective hardware systems were successfully tested on top of that. Gerald Steinbauer from the Institute of Software-Technology lead the experiment “Husky Autonomous Rover”, testing an autonomous robot which supports the crew during their work on the planetary surface, maps the surroundings, monitors radio coverage and takes on transportation tasks. The robotics experts of the TU Graz developed and successfully tested a 3D navigational system. The soft- and hardware of Husky have proven themselves to be effective in the sandy, hilly, and extremely monotonous environment. The stability of the rover and its integration into the daily processes in the field will be further improved before the 2020 mission. A junior researcher of the TU Graz was also involved in the mission: Michael Müller, a physics student at the TU Graz. He took part in the Junior Researchers Program with his experiment A3DPT Mars. The focus was put on tests involving a 3D printer which was used for geological research and also printed replacement parts, tools, and spontaneously needed instruments. During the mission Mars-robot Husky received a new 3D printed antenna. “This mission was a complete success” stated Michael Müller, team lead of the 3D-print experiment, which was awarded the best student presentation at the prestigious SpaceOPS-conference a week later. Analog Astronauts with Husky Rover. Photo: (c) OeWF (Florian Voggeneder). The most ambitious analog Mars mission of the Austrian Space Forum was concluded on the 28th of February 2018. As part of this mission an international field crew, under Austrian supervision, spent four weeks in the Dhofar desert in Oman. 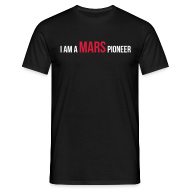 This mission united 200 people from 25 countries and 16 different scientific institutions from 6 nations under a common goal: moving a step closer to exploring the red planet through manned missions. With AMADEE-18 the OeWF made an important contribution to science, education, the economy, and the (high) technology location Austria. “We would like to thank the Sultanate of Oman for its outstanding support in the conduct of this international project. In particular, the Oman Astronomical Society has been vital in coordinating the National Steering Committee of the AMADEE-18 expedition”, states OeWF admonistrative director Dr. Gernot Grömer, “The Austrian Space Forum highly appreciates the value the Sultanate of Oman puts on science and education. We believe that both the industrial base as well as the level of academic education in Oman is a fruitful bases for further engagement in the space sector.“ As a follow-up collaboration, a group of Omani engineering students will be joining the Austrian Space Forum this summer to work on future projects for Mars exploration.